This shot was taken at the same place near the fishing pond . 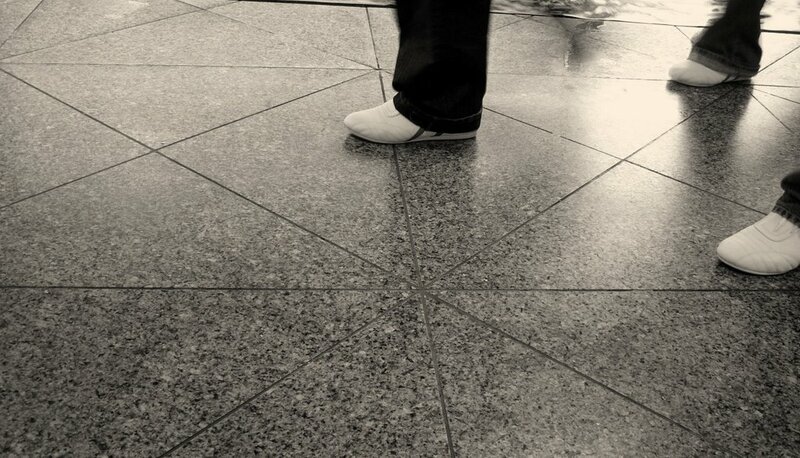 I was focusing at the ground but when i was focusing i saw people walk thru ,so i tried this shot ! I find this shot interesting since the second legs of all the three people are missing in the shot ! So its only one step :) !! All the more interesting since all the shoes were white! Let me know you opinion !! Vidya, I guess this shot would be well enhanced it the texture and patterns on the floor are more distinct. Very creative work! Colour Colour which color do you want ?